This mare was bought in from the field with a nasty leg injury, the cause of which remains unknown. 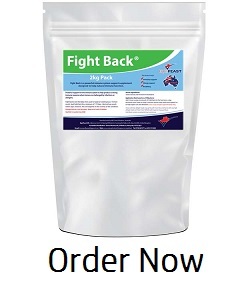 Thankfully the owners were quick to use Fight Back, its powerful immune system support and healing aids were undoubtedly a key component in ensuring the best recovery possible. 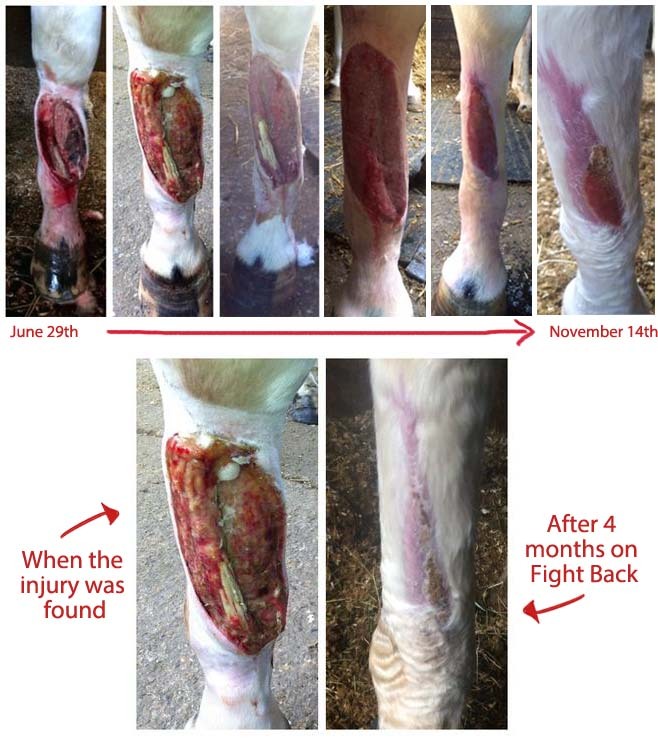 A vet attended once throughout the healing process to cut away a portion of dead skin, otherwise this injury was solely treated with bandaging, Manuka honey and a double dose of Fight Back. Incredible results! Photos shown from 29th June ’14 (when injury was found) to 14th November ’14 (final image).